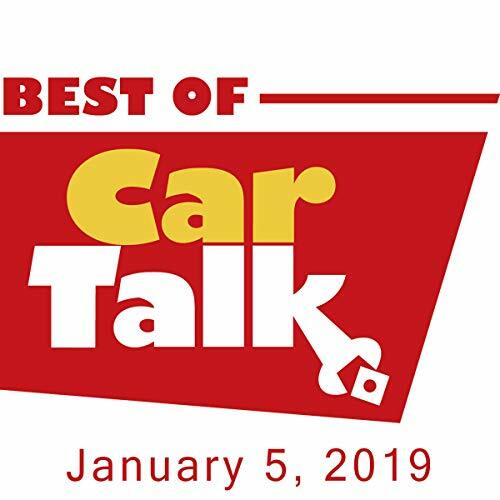 This week on The Best of Car Talk, Brent accidentally set his girlfriend’s Mazda on fire while trying to start it and now the car and the girlfriend are both exes. Can Tom and Ray help stop him from torching his next relationship? Elsewhere, Adrienne’s ski instructor husband thinks it’s okay to treat mountain roads like a downhill course and drive with the cruise control on. Meanwhile, Susan’s husband — a theoretical physicist —wants to use their car battery to power their house during the next blackout. Also, Jane’s gas tank seems to have shrunk in half; Mark can’t remove his oil filter, thanks to his daughter and a small collision; and is June turning her 4-Wheel Drive into a No-Wheel Drive by taking speed bumps too fast?